Teachers careers’ and their experiences of their working lives are critical dimensions of teacher development. 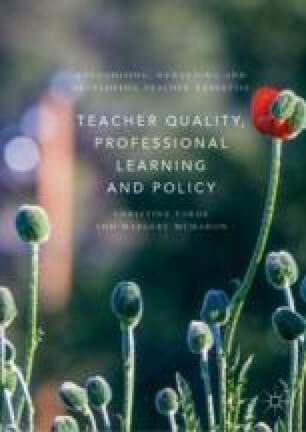 The chapter highlights the dynamic nature of teachers’ careers where professional, personal and contextual factors intersect in shaping teachers’ experiences and aspirations. Various frameworks propose identifiable career phases with fluctuations in attitudes, motivation and possibly performance. Factors such as gender and generation also impact on teachers’ aspirations and experiences. The flat structure of teachers’ careers is seen to impact on teachers’ readiness to engagement with changing expectations and developments. This raises the question of how to construct a classroom-based career as a positive choice. Coggshall, J. G., Ott, A., Behrstock, E., & Lasagna, M. (2010). Retaining Teacher Talent: The View from Generation Y. New York: Learning Point and Public Agenda. https://files.eric.ed.gov/fulltext/ED508142.pdf.